The entry list for round eight of the FIA World Rallycross Championship presented by Monster Energy, World RX of France, has revealed a bumper 79-car field made up of 37 Supercars, 32 Super1600 entrants and 10 TouringCars. 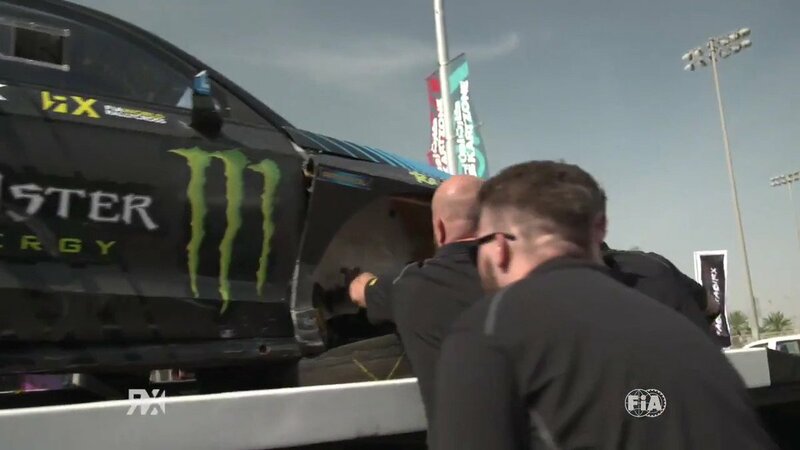 Staged at Loheac in Brittany from 6-7 September, one of the biggest names competing in France will be American Gymkhana star Ken Block who makes his return to World RX full of confidence after securing a podium spot at World RX of Norway earlier this year. Block will be joined by 36 other Supercar drivers including Championship leader Petter Solberg who finished runner-up at Loheac last year. Solberg will be joined by Italian driver Simone Romagna in a second PSRX run Citroen DS3 Supercar. Britain's David Binks will replace Jacques Villeneuve in the Albatec Racing prepared Peugeot 208 Supercar as a result of Villeneuve's F1 commentating commitments. A host of local drivers will be sure to shake up the proceedings at Loheac including reigning French Rallycross Champion Jerome Grosset-Janin who has spent the summer building up his fitness in preparation for his home event. Fabien Pailler (29) and JB Dubourg (27) are both dominating this year's highly-competitive French Rallycross Championship with two event wins each and will be ones to watch as they both compete at World Championship level. Finally, Gaetan Serzain who grew up close to Loheac finished fifth overall in 2013 and will be looking to impress once again this year. World RX also sees its first Middle Eastern entry of the year as Lebanese driver Nabil Karam will compete in a Citroen DS3 Supercar.